There is a rather curious new payment to a councillor on page 130 of the annual budget papers – which you can read here. A new £5000.00 imbursement appears for the “Lead Member for Recruitment”. This role was previously always a key part of the job of the Leader of the Council and is rewarded in their £35,763.00 annual remuneration (the Council Leader also receives an additional £8,940.00 basic councillor's allowance). So, it’s unusual that there should be so little notice of this change in the cabinet structure. Who is this mysterious new councillor, undertaking this new role and so receiving a stomping extra £5000.00 of council tax payers’ money? The answer; it's none other than Cllr. 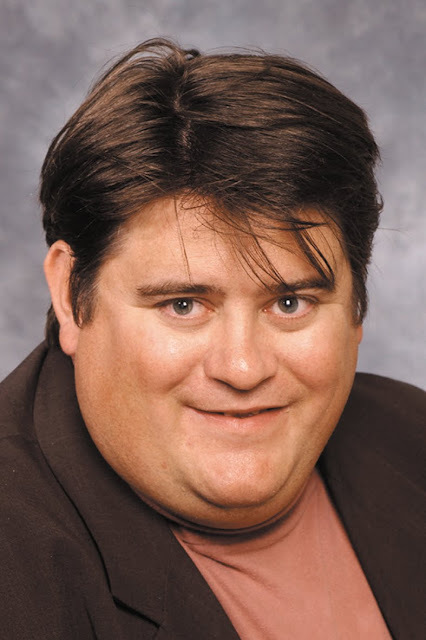 Stephen Greenhalgh (Con), who's pictured here and is the er… current Leader of H&F Council. Now this is all very odd. Why the cloak and daggers around what turns out to be a 14% salary rise for Cllr. Greenhalgh? Maybe there is some embarrassment that this comes at a time when H&F Council is asking caretakers to agree to a 50% cut in their pensionable income, and sheltered housing wardens (who look after the elderly) are losing around 30% of their pensionable income? It could be that he is worried about looking greedy after all the problems H&F Conservatives had last year when they awarded themselves an 18% salary rise (which they were forced to reverse following a public campaign run by the Labour Opposition)? Who knows why Cllr. Greenhalgh had H&F Council dress up his salary hike in this way? Please email me here if you have any ideas of your own that may help to answer these questions. The caretakers are facing the loss of their jobs as they are under threat of a tendering out of the service. They are also facing having to pay for their accomodation. That as part of there remuneration package is a cut in wage. Or they will loose their family home. This amount of money could also be used to empower a less able member of our community to get out and about by issuing them with a Freedom Pass. Keeping the Council Tax down is all well and good. I hope residents are happy that the most vulnerable are suffering greatly already given the cuts to this service. It also runs contrary to the message of saving money. Seemingly so long as their own "nest is feathered". The underhand and silent manner of it's execution spanks of corruption in my view. I've googled him and it turns out he's not even a full-timer, his real job is listed here where he's pictured along with an older gentleman (with the same surname. His father? )and another councillor. A 14% wage rise is an outrageous misuse of his position. We didn't vote for him to do this. Is he taking the electorate for granted? It is upsetting that Mr Greenhalgh has chosen to do this at the same time as he is breaking his election promise not to introduce homecare charges, which are a tax on disability and old age. What's disgraceful is that he tried to cover this up. He's now taking £50k of our money plus what he earns from his Dad's business. What a scrounger!! I (like most people) am not in a position where I am able to give myself a pay rise. I'm certainly not getting anything like a 14% rise in my wages. Most people are tightening their belts in these tough times. Mr. Greenhalgh should be ashamed of himself. He is clearly a greedy young man. I resent him spending my money in this way. "All power corrupts" as they say. Not that I am accusing Mr Greenhalgh of corruption here. I'm not. Not at all.